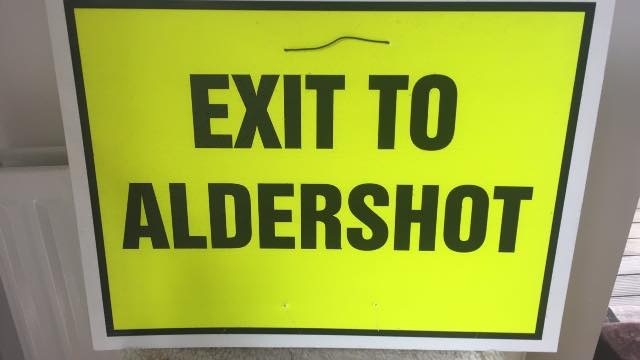 It was back in March 2018 that I said I was interested in being part of the Rushmoor 10k team and work with Dave Porter, John Hogg and Steve Low from the committee, the representatives of the Greater Rushmoor Nepali Community (Jib and Khim), Grainger PLC and the Rushmoor Health and Physical Activity Officer, Martin Sterio. We had our first meeting in mid-March and I learnt about booking venues with Aspire, getting the key to Claycart Bridge, risk assessments, ARC permits, a license from the Basingstoke Canal Authority, notifying the golf club, borrowing tents from the Army, getting additional sponsorship beyond Graingers, and sorting out the teams of volunteers. There was then the need to think about promoting the event, unscrambling the website and working with FullonSport. Just a glimpse of what is involved in organising a 2k fun-run and a 10k for 1100 people! Little did I know that was the only meeting I would be able to attend! Dave and I exchanged lots of emails over the coming weeks about the medal and t-shirt design; we needed to involve Grainger to ensure they were happy with the images and the colours, and eventually we had designs that we thought were pretty fab! It was clear from that first meeting that we intended to work collaboratively with GRNC to put on this event; to show our commitment to community cohesion and working together, a good-sized group attended the Nepali New Year Celebration at the Empire in Aldershot on 14th April. This was very well received, and we met the ‘Singing Colonel’ and also their MC for the evening, both of whom turned up on 14th October despite the weather! We ensured the website had information in Nepali and we also encouraged participation in both the 10k and the 2k event and this proved popular. You will all be aware of the promotion of the event on Facebook and at club; we also leafletted Rushmoor, Alice Holt and Frimley Park parkruns and emailed previous 10k participants. This big push, particularly after the Pilgrim, ensured we sold out! Hooray! This was quickly followed by a plea for volunteers to help with registration and on the day. The GRNC had organised volunteers for the 2k fun-run and also marshals for the 10k course which was a big undertaking. This left plenty to do to set the courses up and ensure it all happened smoothly on the day. My memories of Weds evening registration was it was hot up there(!) and there were lots of helping hands and lots of visitors to the cricket club! 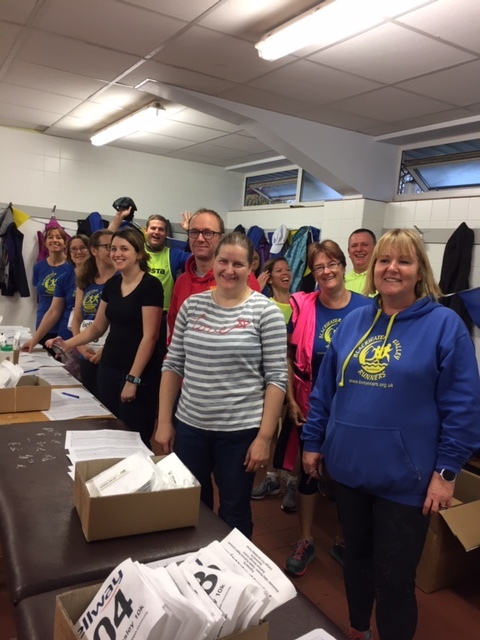 Saturday morning registration dawned bright and early with the challenge of opening the gate; thank goodness Mick knew someone who knew the code… again lots of helping hands and smiling faces and an extra breakfast delivered from Costco. Saturday afternoon was lovely, sunny and bright and a great time to set out the course; one task was reeling out blue rope onto the polo fields in search of a red mark placed by Steve Low. This was where runners would turn right before splitting up into the 2k and 10k runs. To be fair, it WAS a big red mark when we found it, but it is a very big field. So big that we quickly realised that the rope was invisible from a hundred metres away, so Tracy Rees-Clarke and I went back to add short lengths of red and white tape every 10m or so. By then we were sick of the rope but knew that we would have to be back as we needed to add even MORE blue rope to get to that splitting point that was so important! However, the next morning was not bright sunshine, it was raining heavily, and it was predicted to rain ALL morning. Arriving at the rugby club we were greeted by a large group of Nepali marshals and my greeting of “Namaste!” was very enthusiastically responded to; they were laughing and joking about the weather and were well prepared and punctual. Dave had been out since 6:30 and made some changes to the plans: registration HAD to be moved indoors. Once we had got it set up with early volunteers in the changing rooms with the sign-up table for the 2k fun-run in the showers, Tracy and I were back out with more of that blue rope to finish off the course in the pouring rain. It was clearly going to be a day to remember! It was amazing with those last-minute changes that registration basically went well and it wasn’t long before the runs actually started, although I didn’t see the send-off. At last, a chance for a coffee! Then it was onto setting out the finish and reviewing where the medals, water, and goody bags would be. Where was the selfie frame, could people see the PB bell, was the timing equipment and camera in the right place? Then the drowned rats started arriving. I loved giving out medals and congratulating the runners, particularly the BVR hordes, and occasionally I got a big hug in response! At times it was very hectic. At times the rain was biblical. At times it got quite silly. But then it was quietening down and there was the chance of another coffee and a DELICIOUS samosa, a chance to listen to the ‘Singing Colonel’ and we were waiting for the final runner. Martin Sterio was there and presented her medal and it was lovely to see how chuffed she was. There were many great volunteers and it was lovely to see lots of newer members getting involved. Thank you to each and every one of you who did something to help this event be the great success it was! Dave Porter is a legend and it would not have happened without his experience of events; Steve Low was always somewhere with a rucksack of essentials be it flags or sticks or wire cutters or lists or maps; John Hogg was somewhere but I never saw him! I particularly loved family members who became BVR by proxy especially Clare Altham who was our MC with the roving microphone on the day. She was happily enjoying the rain and the event. We are having a wash-up meeting on Wednesday 7th November at 9pm so any feedback to make things better is welcome and should go to secretary@bvrunners.org.uk. Things I will try to remember for next year: club hammer, multitool (or Melvyn), SHARP scissors, blue rope, Tampax, sense of humour, more blue rope, more signs for the toilets, registration and the bag drop. Roll on next year! Note from Editor – I’m intrigued with the Tampax! !